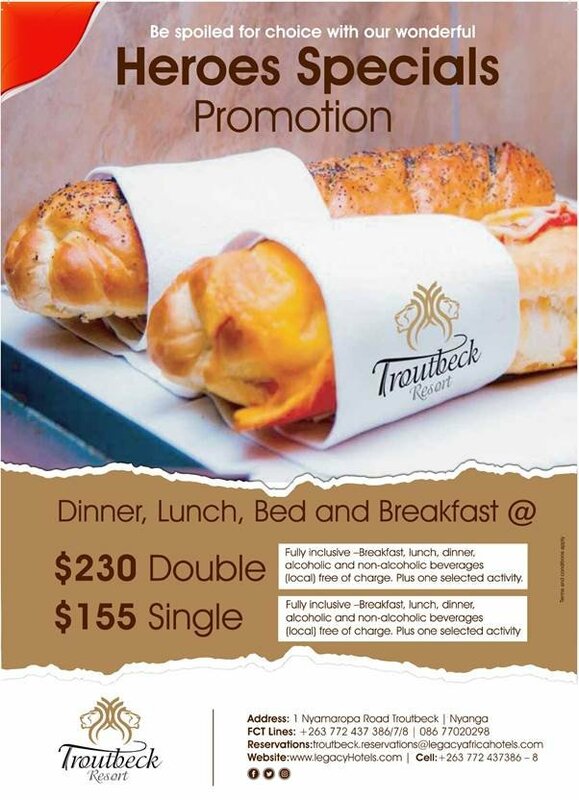 Be spoiled for choice with our wonderfull Heroes Special Promotion at Troutbeck Resort. Dinner, lunch, bed and breakfats at $230 double and $115 single. Fully inclusive - Breakfast, lunch, dinner, non and alcoholic bereverages( local) free of charge. Plus a selected activity.